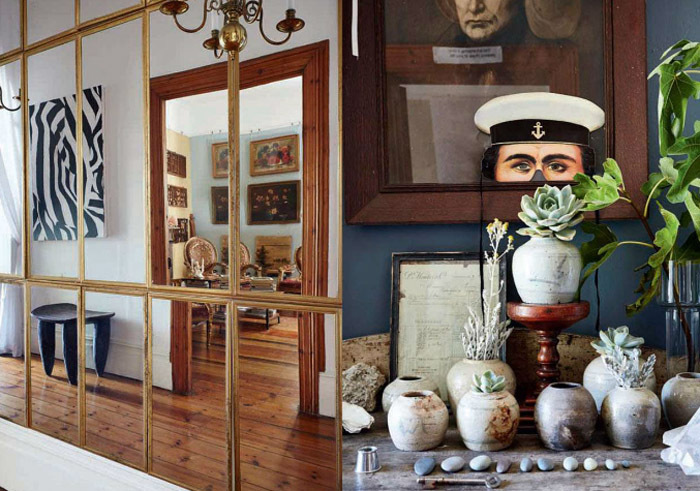 A few tear sheets from the August/September'13 issue of Elle Decoration South Africa and the home of Cape Town milliner, Kurt Pio and housemate Gabrielle Guy. 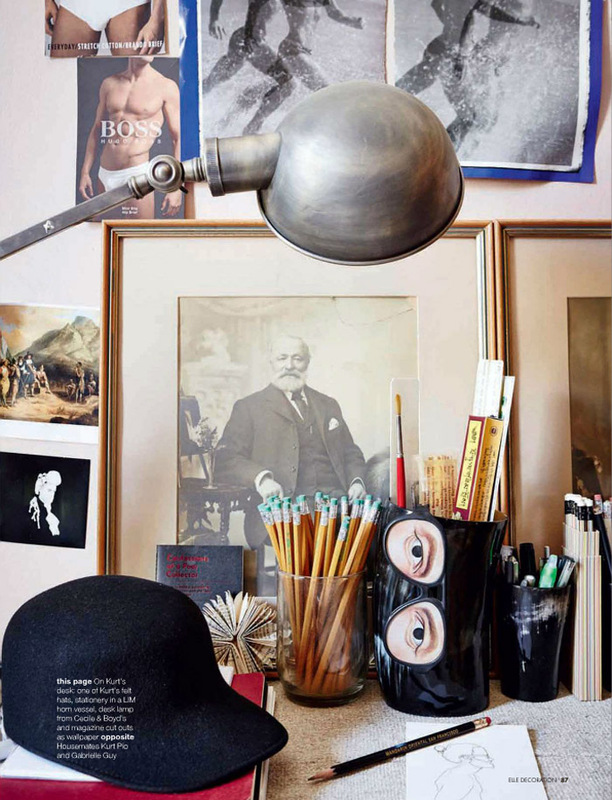 A playful space filled with lots of curio and creative vignettes. 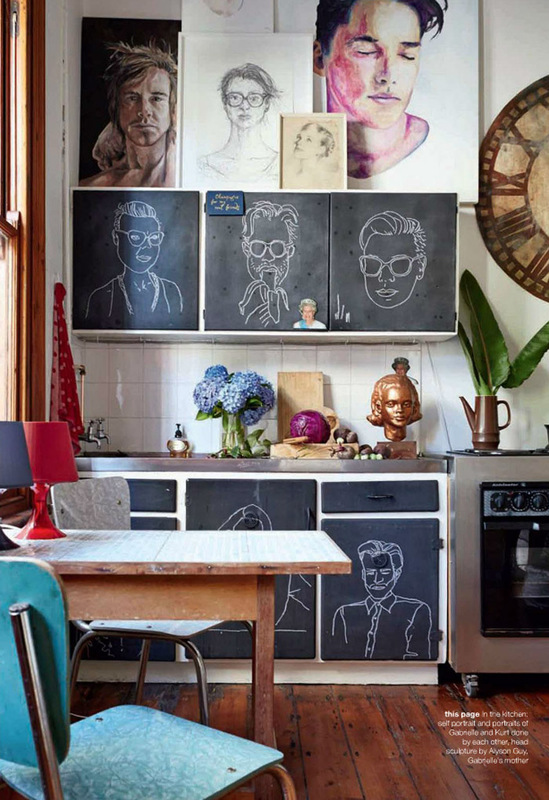 From the art of the display (top pic of Kurt Pio's desktop) to the chalk portrait drawings on the kitchen cabinets by Gabrielle. Each room as interesting as the next filled with a wonderful collection of Colonial Cape, English, Dutch and French influences. 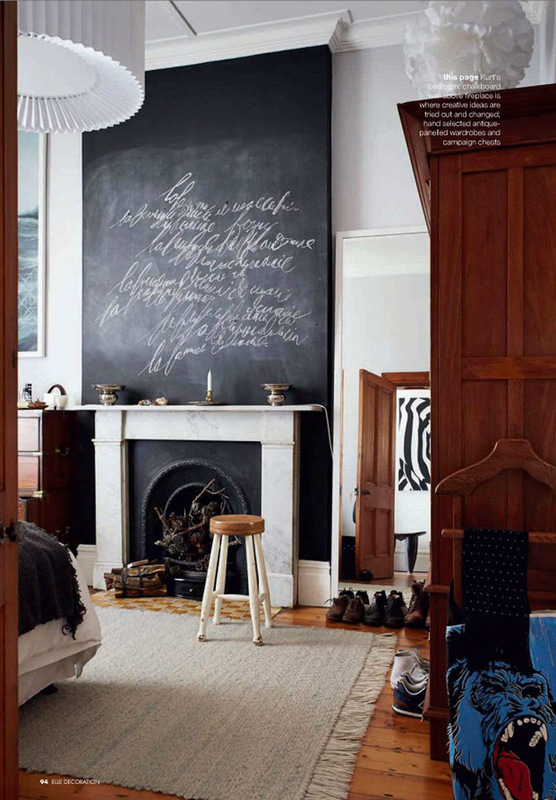 (I picked up my copy of the August/September'13 issue of Elle Decoration South Africa on Zinio.com). That is a really cool home. very artsy.